What happened to summer in Atlanta? Normally, our weather in July can be described in three words. Hot! Humid! Dry! Not this year though. We’ve had record breaking levels of rainfall this season. I read somewhere that the totals in the surrounding area are 15-17 inches above normal right now. If you’re not from this area, that doesn’t make much of an impact, but it’s a big deal here because usually the main lake that supplies water to Atlanta is 5-10 feet or more below full during the summer, and we regularly deal with drought conditions and water restrictions. So to be sloshing through puddles in our backyard in July is highly unusual, and with more rain in the forecast, we may not be finished with the wet pattern yet. These conditions have their pluses and minuses for gardeners like us. 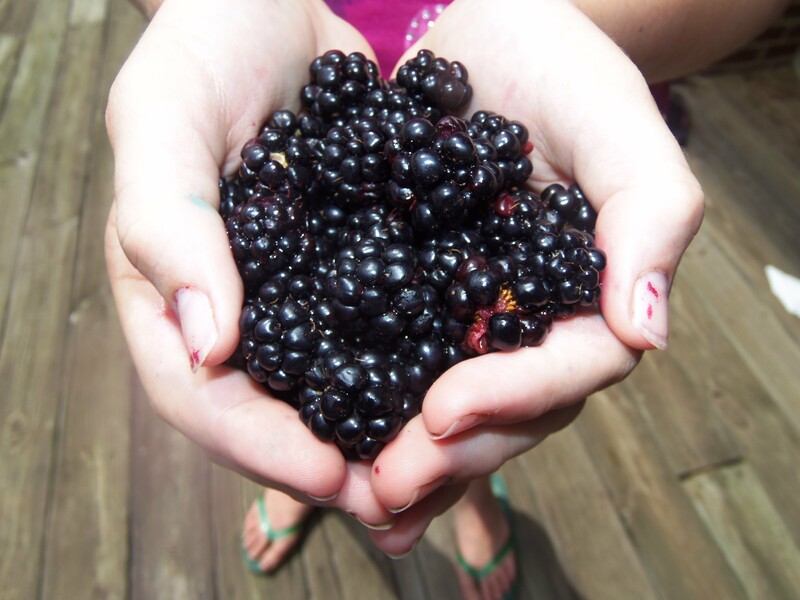 My tomatoes and squash don’t like the wet ground and are barely hanging on, but since berries love water, our blueberry bushes are yielding like crazy, and our thornless blackberries are ripe and are daily in need of picking. While we haven’t had a chance to have fresh salsa yet this year, twice already, I’ve made my summer dessert specialty, Black and Blue Pie. 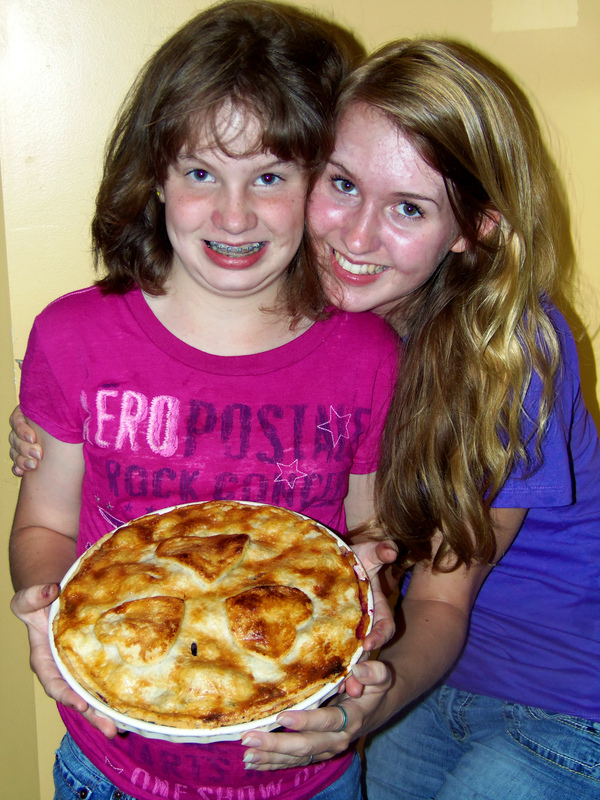 It’s been two years since I was last able to serve this family favorite. 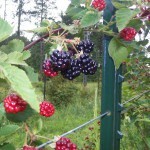 That’s because last year we didn’t get but a few handfuls of blackberries from the thirty plants we have on trellises out back. Their lack of production had nothing to do with the weather or soil; It was lack of care that made them under produce. That’s because when it comes to blackberries, this year’s fruit is 100% dependent on the care and preparation that happened last year. Unlike grapes which grow on vines, blackberries develop from canes in a two year cycle. The first year, the roots push up what are called the “primocanes.” These new shoots produce no berries, but will mature into fruit bearing “floricanes” the following year. 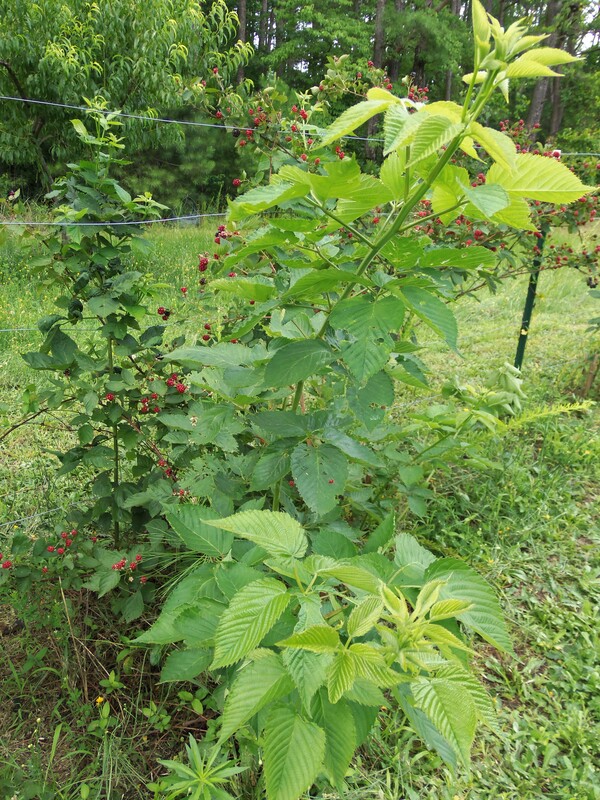 That means that if we want blackberries the next fruiting season, we must be diligent to prune, weed, and care for the non-producing canes in the late summer and fall of this year. Primocanes that are neglected won’t be healthy or well-developed enough to bring forth a good harvest when they reach maturity. And every branch that bears fruit, He prunes it so that it may bear more fruit. When Clif goes through our mini-orchard with his pruning shears, he has several goals. Once the floricanes are finished producing for the year, they must be removed; and then the tips of the new plants need to be snipped to encourage additional branching, creating more ‘wood’ and thus more places for fruit to grow next spring. Stems also need careful inspection to cut away any parts that show damage from disease or insects. Weeds that compete for soil nutrients must also be uprooted and cleared away. Jesus intends for our lives to bear the “peaceable fruit of righteousness.” (Heb 12:11) But through neglect or sin-damage, often what sprouts from our lives is tart, undeveloped fruit or empty vines. So with His careful precision, God cuts away the dead wood, removes things that compete for spiritual nutrition, and trims us so that a rich, sweet crop develops. The Bible’s word for this process is sanctification. Don’t let that word scare you. 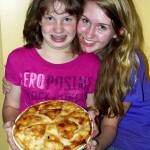 All it means is to be set apart to function as God intended. In a simplistic analogy, a spatula would be “sanctified” when it’s used only in food preparation, to do things like flip pancakes or tend to burgers on the grill. It could be used for something else, like swatting a fly or scraping the floor, but that would then make it unclean and unfit for its original purpose. In the same way, believers are to be sanctified (used only) for the purpose of bringing glory to God. We can do all kinds of sinful, self-centered and prideful things, but those aren’t what we are designed for, and a continued lifestyle of willfulness can render us unfit for the work we’re called to do as well. 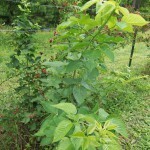 The good news about our blackberries is that Clif didn’t give up on the canes that didn’t produce well. 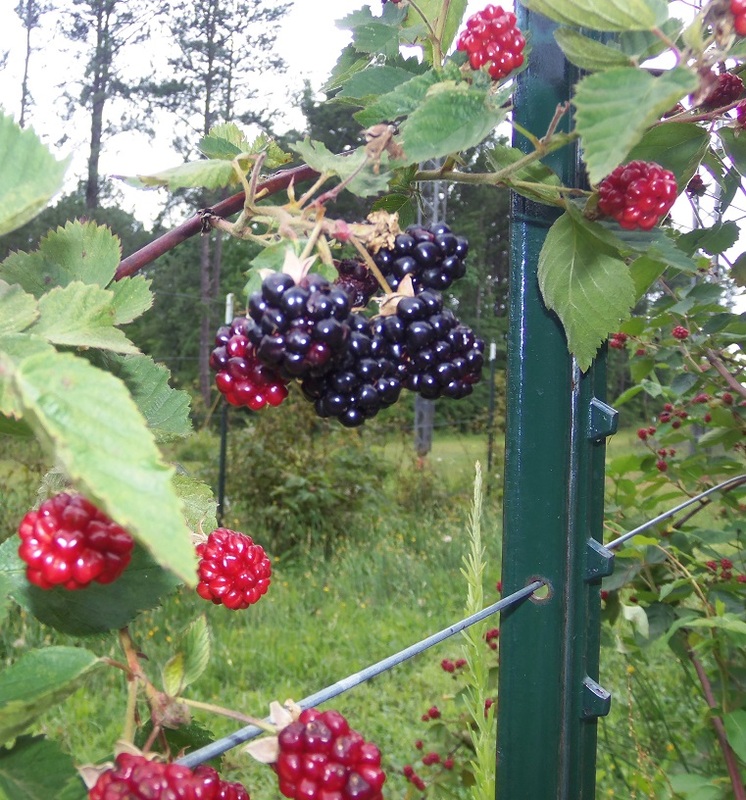 He worked diligently to bring them back to full vitality, and just in the last week or so, we’ve begun to enjoy the delicious fruit that stemmed from his hard work last fall. If your life is full of weeds and fruit is sparse and barely recognizable, be assured that God will not give up on you. He’s determined to complete the pruning process so that you’ll be “set apart” for His purpose, which is “bearing fruit in every good work and increasing in the knowledge of God.” (Col. 1:10) But remember, pruning isn’t a one-time deal. Just like with the berries, it’s an ongoing process. Instead of resisting the efforts of the Master Gardener, I urge you to embrace the difficult times or the intervals of waiting as seasons of preparation. You may not see any fruit developing immediately, but you can trust He is shaping you for the highest yield later on. So when you’re feeling the deep cuts of His pruning process, remember the goal is never intended to harm you, but always to encourage you to live as He intends and to reach the maximum level of productivity. 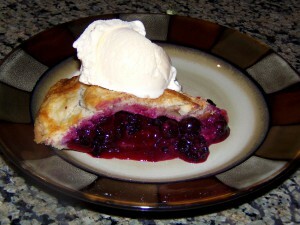 Click to Download my Black & Blue Pie Recipe!